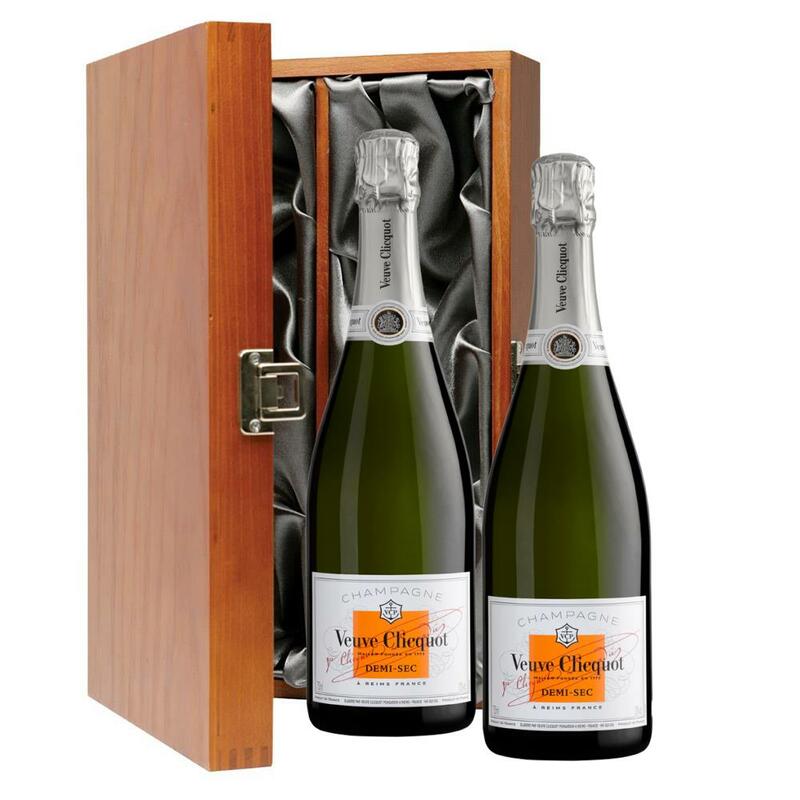 Two bottles of Veuve Clicquot Demi-Sec NV 75cl (2 x 75cl) Presented in a luxurious stained wooden box with hinged lid and clasp. The box is lined with silver satin and comes with a Gift Card for your personal message. 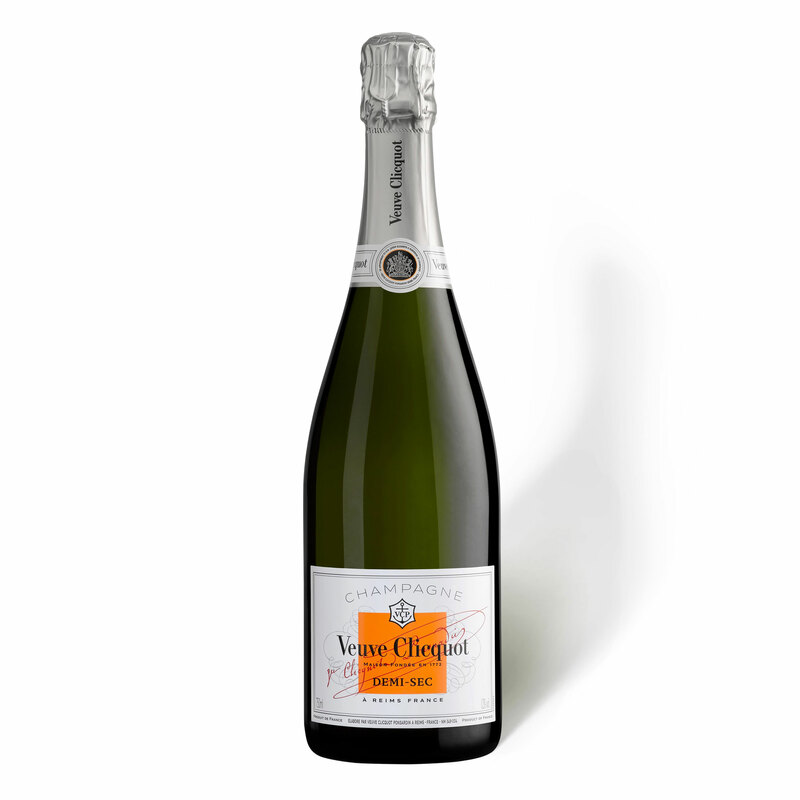 Veuve Clicquot Ponsardin's Demi-Sec Champagne is blended from Pinot Noir and Pinot Meunier completed by about a quarter of Chardonnay and 15-25 of reserve wines. The higher dosage gives it richer notes with detracting from its freshness.